The Sun transits your 2nd House of your values, personal possessions and finances throughout February, Capricorn. Expect these areas to come to your immediate focus. Mercury (Self-expression, travel and intellect) enters Pisces (your 3rd House of short trips, siblings and neighbors on 2/5 and goes retrograde on 2/23 - 3/17). Mars will also enter Pisces this month from 2/1 - 3/12. Venus (Love) will be in Aquarius and your 2nd House of finances and your income stream. Venus brings love and also brings financial benefits, so you could be offered a serious raise or promotion during this transit, Capricorn. A New Moon occurs in Aquarius and your 2nd House of possessions on 2/10. New Moons represent new offers and this is a date to circle on your calendar. Opportunities in your career or through business could be presented to you on this date. You will be business minded as well and will come up with innovative solutions to sell yourself and your product. Others will admire your abilities and you find that areas involving writing and publishing will be of interest. Your ruling planet - Saturn - will turn retrograde in Scorpio and your 11th House of friends and your hopes and wishes, Capricorn. During retrogrades, we tend to look internally. While this retrograde lasts until 7/7, you will find that certain friendships have their fair share of misunderstandings or mild disagreements. A Full Moon occurs in Virgo on 2/25. 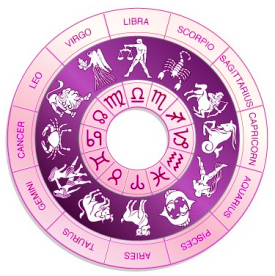 Virgo is your 9th House of people overseas, publishing, spirituality and overseas travel. You could find yourself interested in foreign cultures or people on this romantic night. You also may have a strong wanderlust this month and feel romantic and desire some solo time with a loved one. Make a date night on the Full Moon, Capricorn. You won't forget or regret it. Mercury (planet of self-expression, travel and intellect) goes retrograde this month in Pisces on 2/23 - 3/17. Pisces is your 3rd House of short trips, communications and cars and so you might find issues or problems with your car. Miscommunications with your siblings and neighbors could easily occur once this planet retrogrades. During this time, double check everything as mix ups and delays are highly likely. An Aries and a Libra will play personal roles while a Taurus and a Scorpio play memorable ones.